Function as an active part of both the management and treatment teams. Provide continuous organization, supervision, interaction, and role modeling to education staff and students. Provide leadership and direction, as well as assist with academics, counseling and classroom management. Bachelor's degree in Education, Psychology or Human Services from an accredited college or university; Master's degree preferred. 5 years related experience, with knowledge of mental illness, special education, management, and marketing preferred. Proficiency in current professional education practice and techniques applicable to the care of severely behaviorally disabled students. Credentialed as either a Certified Teacher (Special Education Endorsement) and/or licensed mental health professional. Interpersonal skills necessary to communicate effectively with staff, management and physicians. Analytical skills needed to observe educational practice, as well as accurately observe/interpret human behavior. Ability to organize and carry out responsibilities efficiently. Valid Washington State driverâ€™s license. To apply, please email successjobs@aol.com. Please put "School Supervisor" in the subject line. The Equity Project Charter School is a 5th through 8th grade middle school serving low-income students in the Washington Heights neighborhood of New York City. In each of the past 2 years, TEP has earned an overall grade of "A" from the NYC Department for Education and placed in the top 10% of all public middle schools in New York City. Featured in The New York Times and on 60 Minutes, TEP is the school that pays its experienced teachers a $125,000 salary to work on a team of master practitioners in an environment that values and develops teaching excellence. This is an academic year position. Dissemination of ideas through presentations and publications. Head teachers at EPCS are primary educators/care givers to children under their care, and mentor teachers to Eliot-Pearson Department of Child Development/Tufts University students and Graduate Student Assistants (TAs). Head Teachers work collaboratively with their teaching assistants in planning/implementing curriculum, instruction and assessment of children's development and progress; working with families; and engaging program evaluation and enhancement. The Head Teacher's responsibilities include providing a dynamic, developmental, inclusive program for preschool children, working with families, therapists, team-teaching and supervising University undergraduate and graduate students. Special licenses required: MA prek-2 license and/or EEC Lead Teacher Certification; Early Childhood Teacher Certification of Students With and Without Disabilities within a year of hire. Experience/flexibility with different models and approaches to curriculum and teaching practices; experience working with children whose first language is other than English; Skills in designing and facilitating inclusive classroom environments and curriculum; demonstrated ability to work with children and families from diverse backgrounds; ability to engage in a learning community; experience supervising University students and/or other aids. Teachers will attend staff meetings and periodic parent meetings. This will happen after school hours between 3:30 and 5:30 and/or evenings 5-7pm or 7-9pm. The Head Teacher's responsibilities include providing a dynamic, developmental, inclusive program for kindergarten children, working with families, therapists, team-teaching and supervising University undergraduate and graduate students. Years of related experience required: 3 years' experience with teaching children, including those with special needs, with specific skills and knowledge of the Kindergarten age group. Experience/flexibility with different models and approaches to curriculum and teaching practices; experience working with children whose first language is other than English; ability to engage in a learning community; Skills in designing and facilitating inclusive classroom environments and curriculum; demonstrated ability to work with children and families from diverse backgrounds; experience supervising University students and/or other aids. The Anchorage School District has almost 48,000 students that attend 97 schools. We support a variety of school programs and alternative choices for students and families. Our school population is diverse and talented with over 90 languages spoken by our students. ASD has been recognized for leadership in staff excellence and educational programming. Anchorage features many of the benefits of a larger city with the wilderness just minutes away. Quality of life and a wide array of recreational activities are paramount to members of the community. Special Education teachers plan and provide learning experiences for students with disabilities, including cognitive, emotional, or physical disabilities, in a variety of educational settings. Special Education Teachers create a flexible program and learning environment that provide specialized instruction; establish effective rapport with students; may modify general education curriculum to meet children's needs with supplemental aides, accommodations, and other needed supports; and establish good relationships with parents and with other staff members. Valid Alaska Initial, Professional, or Master teaching certificate. HQT (Highly Qualified Teacher) designation in the content area of Elementary Education. Successful candidate may need to obtain additional HQT designations depending upon future course assignments after this hiring process. $47,923 - $88,209 salary range. Employees and their families receive health and life insurance, including dental and vision plans. Teachers are eligible for retirement benefits through the State of Alaska Teacher Retirement System. Details at www.state.ak.us/drb Teachers who hold national certificates receive a salary supplement. The Anchorage School District has almost 48,000 students that attend 97 schools. We support a variety of school programs and alternative choices for students and families. Our school population is diverse and talented with over 90 languages spoken by our students. ASD has been recognized for leadership in staff excellence and educational programming. Anchorage features many of the benefits of a larger city with the wilderness just minutes away. Quality of life and a wide array of recreational activities are paramount to members of the community. Special Education teachers plan and provide learning experiences for students with disabilities, including cognitive, emotional, or physical disabilities, in a variety of educational settings. Special Education Teachers create a flexible program and learning environment that provide specialized instruction; establish effective rapport with students; may modify general education curriculum to meet children's needs with supplemental aides, accommodations, and other needed supports; and establish good relationships with parents and with other staff members. Orientation and mobility is the part of the educational process that prepares students with visual impairments to travel independently and safely. The itinerant O&M specialist travels to the students' assigned schools and/or home to provide direct and/or consultative services relating to the visual impairment. These services enable the students to travel safely, efficiently, and independently in their home, school, and community environments. Provide O & M services on a center-based and itinerant basis for children preschool through high school. Provide consultation/direct services for infant/family teachers as requested. Evaluate all referrals to determine current level of skills and make recommendations regarding type of orientation and mobility service most appropriate for the child. Write objectives regarding child's program to be included in each IEP or IFSP. Participate in all MDC, IEP, and other planning meetings regarding child. Teach all aspects of O & M training, including but not limited to: concept development, low vision skills, orientation skills, alternative mobility devices, and mobility skills to provide maximum independence for each student. Serve as liaison with school district, classroom teachers and parents, providing general education in the area of blindness and specifically Orientation and Mobility. Maintain necessary case records, reports, and other administrative tasks. Gather appropriate information from Districts and coordination of schedules with school based personnel. Master's degree (preferred) or Bachelor's Degree in Orientation and Mobility from an accredited college or university. Must have or be eligible for ACVREP certification as an "Orientation and Mobility Specialist". Knowledge of the developmental aspects of O & M as it relates to children including but not limited to impact of various eye conditions, capabilities of children for independent travel, impact of multi-handicapping conditions and techniques of teaching. Ability to establish a rapport with children and maintain effective relationship with children, their families, and others involved in the child's educational program. Helpful to be bilingual in Spanish. The itinerant teacher for students with visual impairments travels to the students and is assigned schools to provide direct and/or consultative special education services relating to visual impairments. These services enable the students to learn in classroom and community environments. Services for infants may be provided in the infants' homes or child-care settings (within district boundaries). Administers assessments and prepare corresponding reports to include: FVA, LMA, IEP, developmental checklist, progress notes assessments. Provides direct, indirect and consultative specialized services as indicated on the IEP in public, private and charter school settings. This includes instruction in areas of the Expanded Core Curriculum when deemed necessary. Participation in the development and implementation of individualized education plans (IEPs) and 3 year evaluations (MET). Maintains data collection and student records. Collaborate with related service providers. Provide education and support to families and school based staff. Referrals to community resources and opportunities to enhance educational, recreational and independent living experience. Bachelors Degree (Master's Degree preferred), in education of the visually impaired. Must be able to be certified in the State of Arizona as a Teacher of Children with Visual Impairments (TVI). Knowledge of Braille, vision assessment instruments and procedures, low vision aids, the impact of various eye conditions and the impact of multi-handicapping conditions on learning. Understanding of assistive technology and its application in the classroom. The major goal of the Special Education Coordinator is to implement and coordinate a program that promotes the educational development of pupils who have been identified as needing special education services and complies with all applicable laws and regulations. Develop and oversee the case management system for all students on IEPs, including overseeing manifestation hearings. Create and supervise the school's referral system for students who are struggling academically and/or socially; coordinate referral system with local, state and federal requirements. Write and maintain all IEPs, reevaluations, and documents related services. Work with academic scheduler to ensure special education students are placed in the appropriate classes. Provide direct services to students with an IEP including in class support, behavior management and day to day crisis intervention. 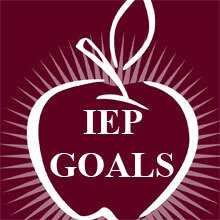 Use academic and behavioral data to provide additional support for students with an IEP. Coordinate and facilitate all IEP meetings (manifestation meetings, eligibility meetings, re-evaluations, etc.). Help procure third party services needed to support special education services; monitor and evaluate the effectiveness of these services. Act as a liaison between general education and special education teachers. Act as a liaison between special education students and student support staff. Attend all meetings with the local education agency. 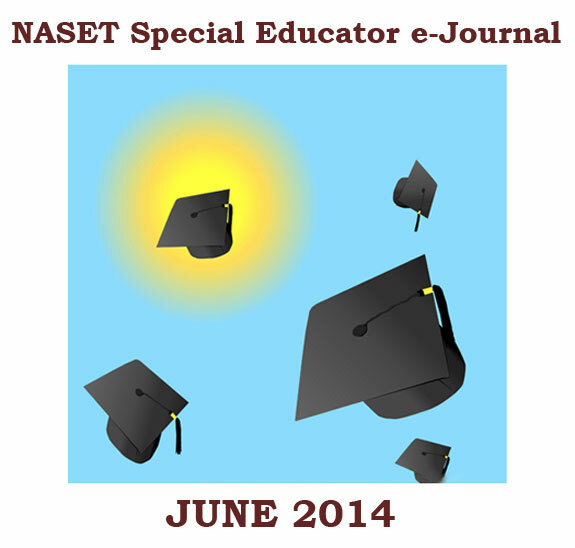 Facilitate workshops for special education teachers/case managers. Engage as an active member of the Student Support Team to insure proper early intervention supports and services are in place for students at risk. Provide small group or individual intervention for students with special needs. Oversee the development, tracking, dissemination and proper implementation of IEP-mandated accommodations for students with special needs during state testing events. Consult with teachers to develop classroom interventions for struggling students. Master's degree or bachelors plus significant experience in related subject area. Teaching certification in related subject area (minimum provision certification). Minimum of two years of service in field of special education in schools. Must be able to substantiate leadership abilities in special education and possess an ability to work cooperatively and efficiently with others. Must be knowledgeable in all federal laws pertaining to special education and regular education students (including 504 Law). Paul Public Charter School offers a great benefit package. Please click or copy and paste the below URL address into your web browser. NO TELEPHONE CALLS PLEASE. PAUL PUBLIC CHARTER SCHOOL IS AN EQUAL OPPORTUNITY EMPLOYER.